SCARBOROUGH – Members of Scarborough Kiwanis Club recently delivered food to Wentworth Intermediate School, as part of a project to fill 119 backpacks for kids in need. Each of the backpacks contained staples like canned goods, peanut butter and cereal. 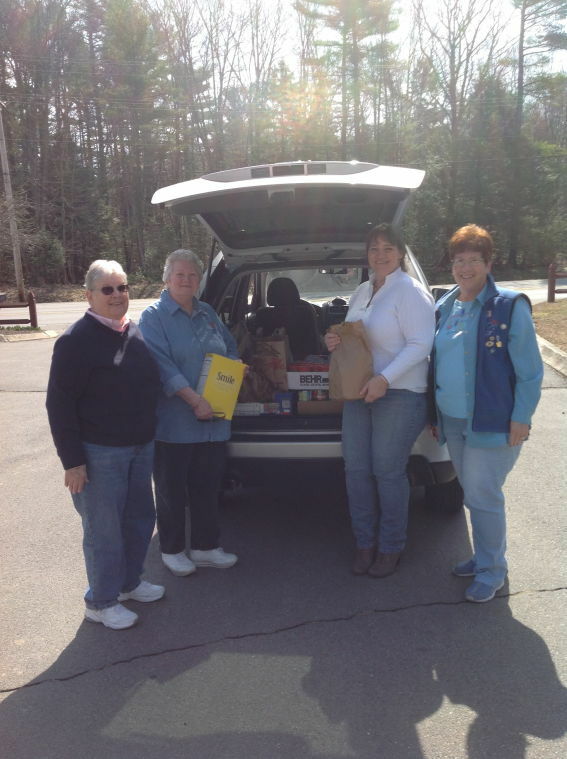 Kiwanis members Jackie Perry, Pat Cornea, Ava Adams and Sherry Forest, club president collected donations of food from club members in order to fill the backpacks. Email Forest at sforest@gwi.net for more information about the local Kiwanis Club and its programs. From left are Scarborough Kiwanis Club members Jackie Perry, Pat Cornea, Sherry Forest and district chairwoman Ava Adams.